If there’s something everyone is raving about today, it is Artificial Intelligence (AI) and Machine Learning (ML). Businesses and companies across all parallels of the industry are increasingly relying on the power of these two pioneering technologies and rightly so. Powered by AI and ML, enterprises are able to achieve such things today that were earlier considered to be the food for imagination! One such incredible tool is a Chatbot. Powered by AI, a Chatbot is a software/program that is specifically designed to communicate and interact with humans in their natural language. They can engage with humans quite naturally and respond to them using mediums such as SMS, messaging services, and chat windows across websites and a host of social networking platforms like Facebook, Twitter, and much more. So, how can Chatbot create and add value to your business? The answer is simple – by increasing the customer/client interaction quotient with your brand/organization. When you start using Chatbots, you’re opening the window for customer interaction, thereby allowing you to understand the pain points of your existing customers as well as potential target audience. 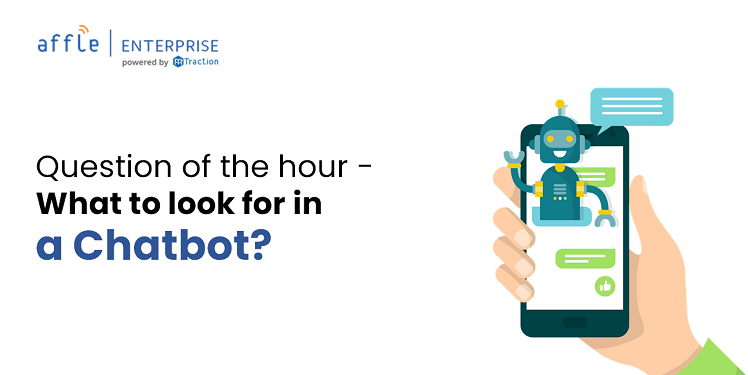 Although Chatbots are the hot topic of discussion at present, their existence goes long back. It was way back in 1966 that Joseph Weizenbaum developed what came to be known as the first chatbot – ELIZA. This chatbot was unique in the sense that it could imitate the language and behavior of a psychotherapist and interact with humans just as a psychotherapist would. After ELIZA, came PARRY in 1972. Both ELIZA and PARRY could only interact and respond to human queries or statements through textual commands and scripted responses. Years later, Rollo Carpenter developed the first voice operated chatbot in 1988 – came to the scene in 1988 – Jabberwacky project. With the passage of time, Chatbots continued to get smarter and more intelligent (for instance, A.L.I.C.E and SmarterChild). Cut to this day, we have access to some of the most intelligent Chatbots you can think of! Siri, Alexa, Watson, Cortana, Google Now – these Chatbots are used by individuals and business all over the world. How can Chatbots help add value to your business? The biggest advantage of Chatbots, as we mentioned before, is that it boosts customer interaction with your brand. By deploying chatbots in your company website would allow customers to make and maintain a meaningful conversation with you 24×7. Your customers will know that they can have any and every information about your brand whenever they want it. Another catch for your business – you will not have to splurge a ton of money in maintaining an army of professionals to man the customer support system. All in all, it makes customer support and service smooth and seamless. And the craze of Chatbots is catching on pretty fast. According to Gartner, by 2020, nearly 25% of customer service and support operations will incorporate chatbot technology across various engagement channels (this number stood at just 2% in 2017). Then again, Orbis Research predicts that the global chatbot market is projected to grow at a CAGR of 37.11% between 2017-20. And speaking of trimming down business costs, Juniper Research predicts that by 2022, Chatbots will reduce business costs by nearly US$ 8 billion! Now comes the question of the hour – What to look for in a Chatbot? The first thing to keep in mind is that whether or not a Chatbot harbors the basic support system for natural language processing. You must check for things like how many languages can the bot support, whether or not it can engage in appropriate conversations and maintain the same through text or speech, and so on. When a Chatbot features built-in NLP support, it can understand and interpret user queries/statements and the intent behind them, and reply accordingly. A good Chatbot is one that allows you to customize and design the dialog flow, that is, maintaining a conversational framework. It should be such that it allows you to define and delineate distinct conversation paths. Also, the bot should feature exception handling capability. A Chatbot should be able to function seamlessly in multiple platforms, be it mobile apps, or websites, or social media platforms like Facebook. Furthermore, it should be able to interact with tools like Skype, Slack, etc. As such, you could deploy a single bot on multiple platforms and harness its full potential. An efficient Chatbot would allow you to perform backend integration tasks with ease. It should either let you invoke APIs or it should offer an easy integration method combined with both SDK and platform configuration. So, make sure you check whether or not the bot allows you to invoke APIs easily and connect to various backends from the dialog flow and also the platform test support. The next thing to look out for in a Chatbot is whether or not it is easy to update. That is, if it allows you to smoothly introduce new dialog flows within your conversation model, or if it allows you to update and incorporate new utterances to existing intents, among other things. Another thing to keep in mind is that a Chatbot should run faster in production (for that is the whole point of leveraging AI). With technology advancing to new arenas as we speak, there’s definitely more to expect from Chatbots in the years to come. Ever since their birth, Chatbots have come a long way and have today, become somewhat an indispensable part of our daily life. It may not be long before we get to see much more exceptional and advanced bots than Alexa, Siri, or Cortana. To conclude, the future looks promising and optimistic for Chatbots. We at Affle Enterprise have developed chatbots for a number of business sectors, each built for a custom use case. Monitoring and witnessing the impact of their integration in real time. 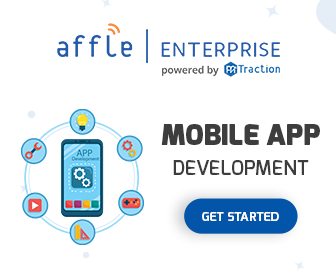 For chatbot development drop us a line @ enterprise@affle.com.